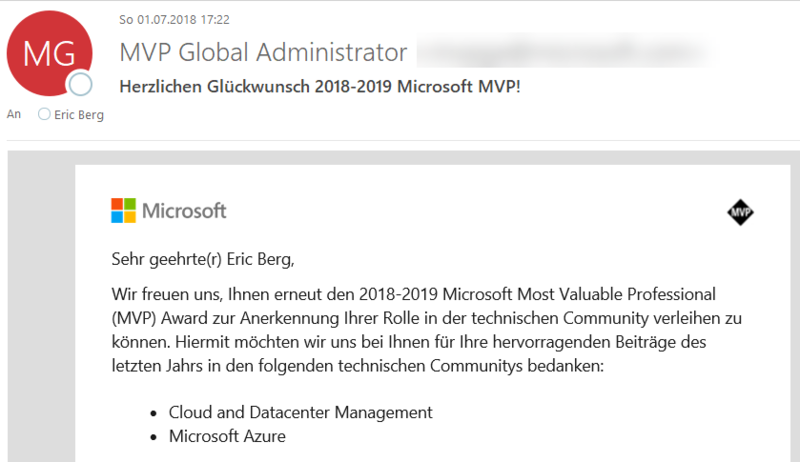 One of these days was July 1st this year – after I received the Microsoft MVP award for the first time in October 2015, then still for System Center Cloud and Datacenter Management, I was successfully renewed every year in October. Until now I was and am proud MVP for Cloud and Datacenter Management (yes Microsoft loves to rename things). The changes in the MVP program have now led to all MVPs worldwide being renewed on July 1st and so I was also excited on Sunday. Especially since one has already heard some unrest in advance that a large number of MVPs will not be renewed. 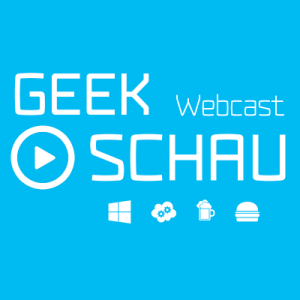 So this year I was successfully renewed in two categories… the usual Cloud and Datacenter Management (CDM)… and new Microsoft Azure! I knew that it is possible to be awarded in more than one category…but to achieve that once yourself is really great. Especially since I could read on the site of Michel de Rooij, who created a great overview, that there are only 50 MVPs worldwide with two categories. 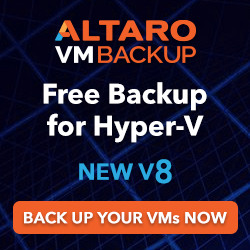 Congratulations to all renewed MVPs! Finally, it only remains for me to say: THANK YOU! Thanks to my children, who endure that I am often not at home and sweeten my free time! Thanks to my family, who shaped and supported me in my life! Thanks to my friends from Taekwon-Do, who have been with me for more than 20 years now! Thanks to Dr. Ralph J. Aman, who accompanied, challenged and supported me on my way! Thanks to COMPAREX and my colleagues for their great support. Thanks to my “Fellow MVPs” who have become good friends over time. 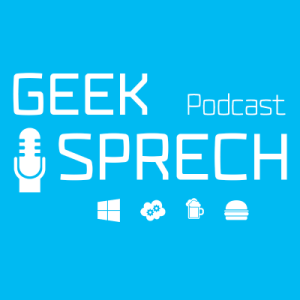 Thanks to Alex Benoit, who has endured one or the other episode GeekSprech, GeekSchau and Fasching 🙂 with me. Thanks to …. everyone I haven’t named yet! “The community lives from the community and only those who participate keep it alive!